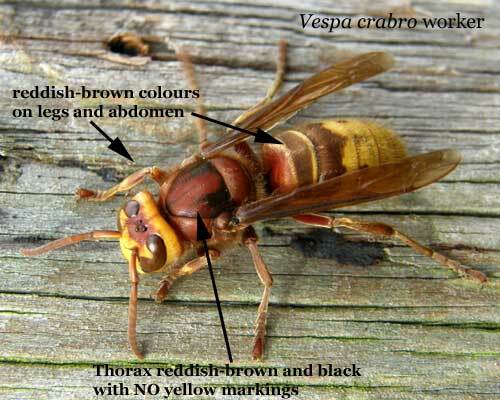 The hornet is Britain's largest wasp species and is predominantly yellow-orange and brown in coloration. It nests in cavities in old trees and in outbuildings. Typical habitat is old mature woodland and wood pasture. The range extends northwards only as far as South Yorkshire. The hornet is generally secretive and docile in habit.